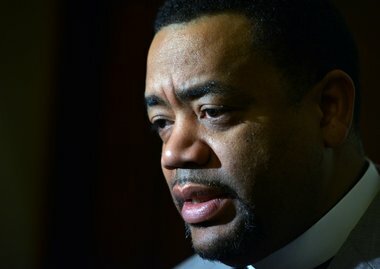 SPRINGFIELD — A police officer in Layton, Utah, resigned on Friday after being accused of posting a racist meme on the Facebook page of Bishop Talbert W. Swan II, president of the Springfield chapter of the NAACP. A Layton police spokesman said the department was “embarrassed and sorry” over the incident. The officer, whose identify was not disclosed by Layton police, resigned one day after he was suspended from his job as a result of the incident, said Lt. Travis Lyman, the police spokesman who also serves as investigator for the department’s Internal Affairs Unit. Swan said the post left on his page Tuesday afternoon “made mockery of African Americans in a picture of ancient Egyptians” and included a lewd reference to male anatomy. The Layton Police Department in Utah is investigating a complaint by Bishop Talbert W. Swan II that his Facebook page was marred by a “racist” meme allegedly posted by one of Layton’s officers. The officer’s resignation cancels a pre-disciplinary hearing that was scheduled Monday. The hearing was to be with the department’s police chief, Allen Swanson, and the department’s attorney. Lyman said the officer apparently anticipated the outcome of the hearing. Swan praised the Layton Police Department for its professional and quick action. “I applaud the Layton Police Department and the chief of police and the internal investigation unit for their professionalism and the seriousness of which they dealt with this matter,” Swan said.